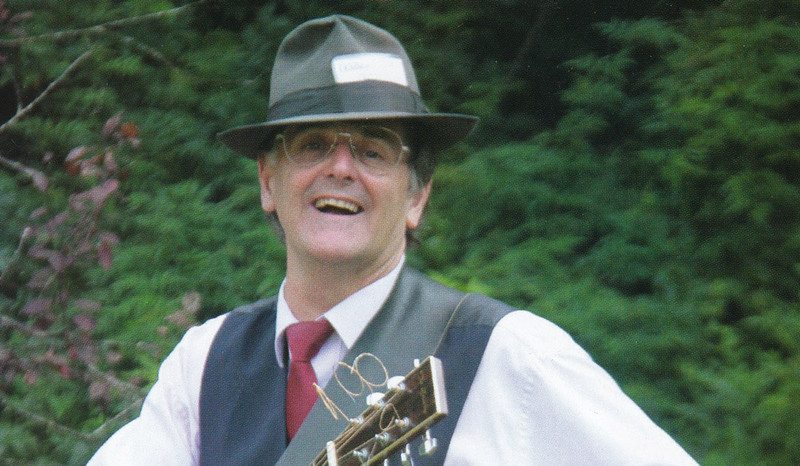 In a twist worthy of a Pat Drummond song, this month will see the staging of Getting There, a musical using Pat’s songs to tell a story of its own. The musical was written by Chris Gordon, a long time Pat Drummond fan. “I’m from Goulburn, and some of us went to see Pat at the rest Hotel when he was still playing pub rock,” Chris said. Pat and his brothers had a rock opera called School Days which Chris has taken a step further, asking what happened to some of the show’s characters. “Throughout Pat’s songs, there’s a lot of things that come to light. People are being displaced on the land, the importance of honouring your word, bullying… those themes are in a lot of Pat’s songs, so there was a bit of a story being told,” Chris said. Pat said the big thing about his songs has always been the narrative and a real connection to the experiences of country people. “My songwriting has always had that narrative style, regardless of what genre I wrote in, he said. The musical offers up a story with some tragic and heartfelt moments, as well as a lot of fun, and covers a lot of ground – starting in suburban Sydney before moving to the Royal Easter Show, the Northern Territory and the South Coast of NSW. “Pat did get bullied at school,” Chris said. Chris said that one of the main aims of the show is to introduce Pat’s music to a wider audience. “Pat has this treasure trove of great songs that paint so many aspects of contemporary Australia,” Chris said. 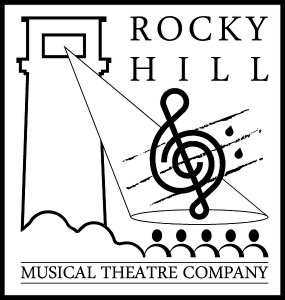 Getting There is presented by the Rocky Hill Musical Theatre Company, based in Goulburn, NSW, and Chris has hopes that it may one day be seen by a wider audience and even make its way nto the repertoire of professional musical companies. And the final word should be left to Pat. “This is an incredible acknowledgement,” he said. Getting There runs from Friday, August 3 to Saturday, August 18 at the Goulburn High School. 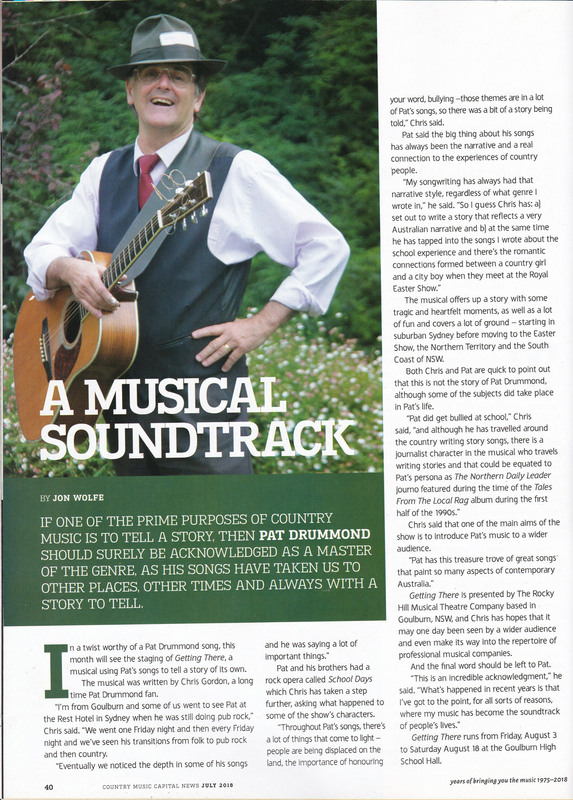 Originally published as A Musical Soundtrack in Country Music Capital News, July 2018.